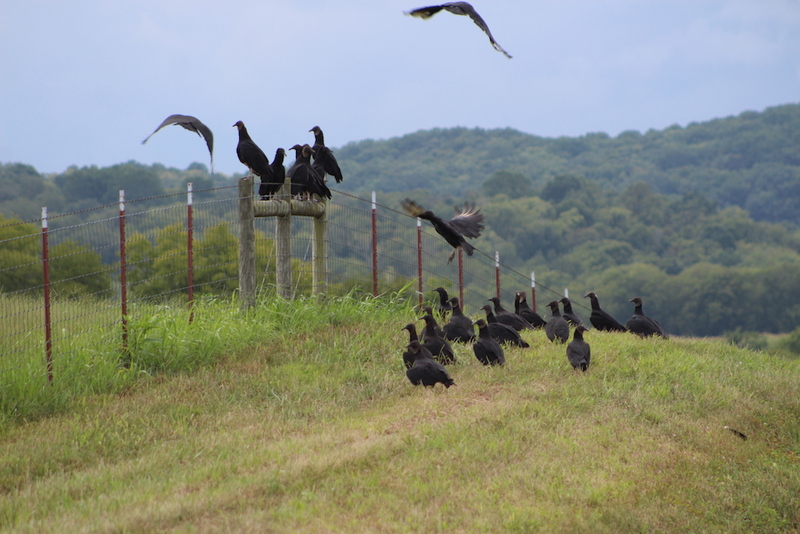 Black vulture attacks on livestock are a serious issue for Tennessee producers. Last year according to USDA APHIS Wildlife Services, Tennessee livestock producers reported losses of 233 cattle to black vultures. Unfortunately, producers are limited in legal methods of removing problem black vultures since they are protected under the federal Migratory Bird Treaty Act. Previously, the only legal option to protect livestock from depredation was to apply annually for an individual black vulture depredation permit at the cost of $100. Tennessee Farm Bureau has worked with both state and federal elected and agency personnel to seek an alternative to legally protect livestock from black vultures. We are pleased to announce the Tennessee Farm Bureau Federation (TFBF) Board of Directors has obtained a statewide depredation permit for black vultures from the United States Fish and Wildlife Service (USFWS). TFBF will issue sub-permits to livestock producers who are experiencing problems with black vultures. The TFBF statewide depredation permit provides Farm Bureau members who are livestock producers an opportunity to apply for a livestock protection depredation sub-permit allowing legal “takes” of black vultures that are attacking livestock. The statewide permit will be administered by TFBF. There is no cost to TFBF members who apply for a TFBF livestock protection depredation sub-permit. 4. Use of black vulture carcasses as effigies in areas where depredation is occurring. Sub-permits will be issued to livestock operations only. Applications will be scored based on the information provided regarding past depredation history, proximity of black vulture roosts, number of livestock on the farm and the general livestock density of the area based on the most recent Tennessee Agricultural Statistic Service. 3. A copy of the TFBF statewide depredation permit, 4. Guidelines for removal methods, and 5. A black vulture dispatch log. Producers experiencing extreme depredation and large black vulture roosts are encouraged to apply for an individual black vulture depredation permit with USFWS. Individual permits allow producers to be approved for a larger number of “takes” by USFWS. The cost of an individual depredation permit is $100.